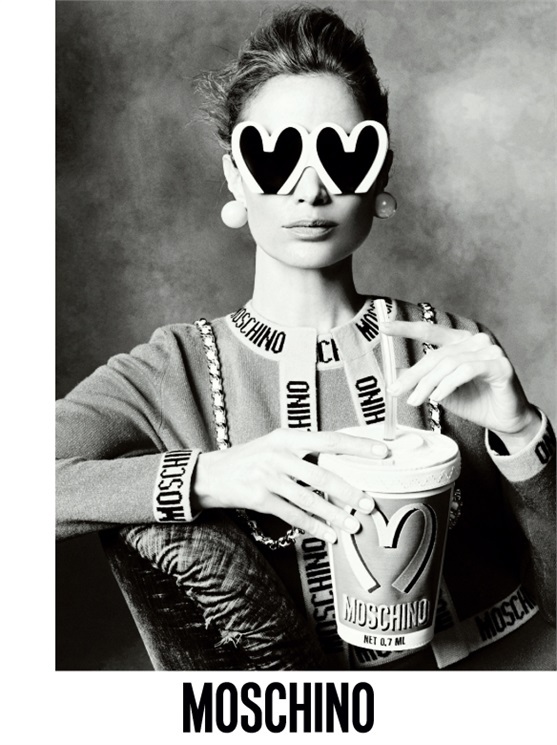 Last week, we got a peek at Moschino's Fall 2014 campaign, which despite the collection's kitschy inspiration, gave off an air of sophistication, thanks to its black-and-white rendering and the presence of Linda Evangelista. Now, a few more images from the campaign have leaked, and they are just as arresting. With a cast including Stella Tennant, Carolyn Murphy, Saskia de Brauw, Raquel Zimmermann and Karen Elson, this campaign gives off a feel of old glamour, making the fact that Stella Tennant is wearing a gown made out of Budweiser can-printed fabric not that strange after all. Check out more images in our forums and tell us what you think!